Your company’s financial statements help you understand your business’	asset structures, profitability, cash flow and much more. 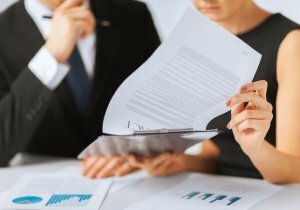 At J. Matthew	Crocker, P.C., we have extensive experience compiling, preparing, auditing	and reporting on financial statements for businesses of all sizes. Our	purpose is to help business owners to reach their individual and specific	financial goals. Whether you need assistance preparing and reviewing your	financial statements, compiling a list of possible deductibles, or want	to plan ahead for tax season, our Mansfield CPAs are here to assist you. Our experience, skill, and client-centered focus gives us an advantage	over other tax firms in Texas. We know what it takes to prepare comprehensive,	understandable, and effective financial statements to help you and your	business thrive. Our Mansfield CPAs can help you prepare thorough financial	statements custom tailored to fit your specific needs. Call J. Matthew Crocker, P.C. at (817) 473-1370 to get started.